Having my taxes filed on time and receiving a refund is reason enough for me to celebrate! 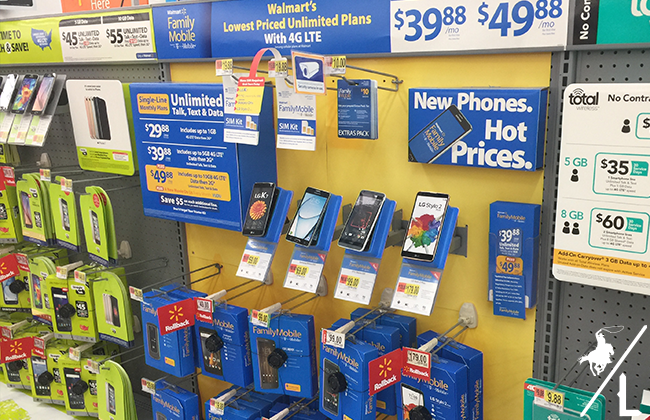 The first thing I bought after getting my refund was the Samsung Galaxy On5 (regular price $119.00 and on Rollback for $69) to go along with the Walmart Family Mobile PLUS Plan = Unlimited Talk, Text, & Data which includes up to 10GB of 4G LTE then 2G. Plus a free VUDU movie credit every month ($7 value, same as a new release rental) per line for $49.88. It’s easy to plan a movie night each month with the family when you get a FREE rental! All you have to pay is $19.88 for the SIM Kit since WFM bills you later. My nieces were in town this weekend and we decided to have a movie watching party. The boys were out doing whatever it is boys do and we wanted a night to watch a chic flick, enjoy some fun snacks and catch up with each other! 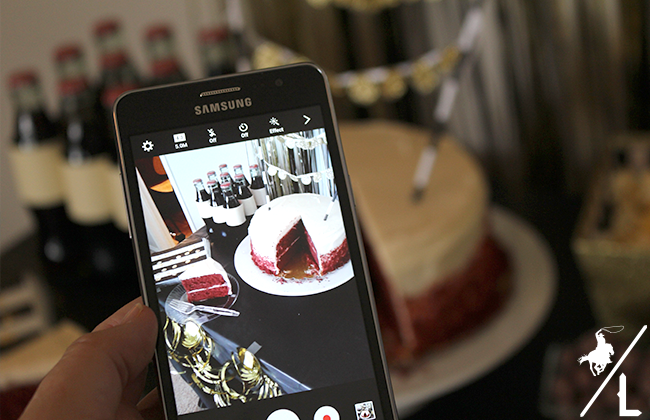 Don’t worry, we sent them pictures of our desserts to make them jealous. Since I only see my nieces about once a year, I decided to make the evening special by setting up this fun dessert table. 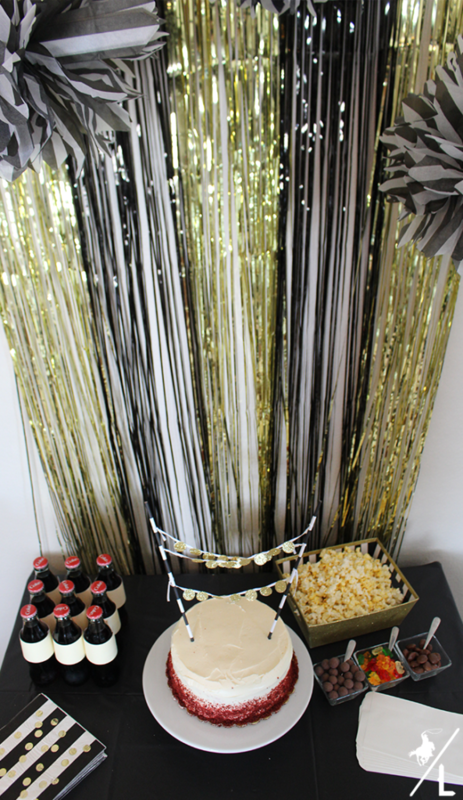 With just a few decorations such as a poster, tablecloth, streamers, napkins and a cake topper you can turn any normal movie night into a fun party. But don’t forget the best part – the snacks! Remove bulbs, place in holes and then screw back into strand. 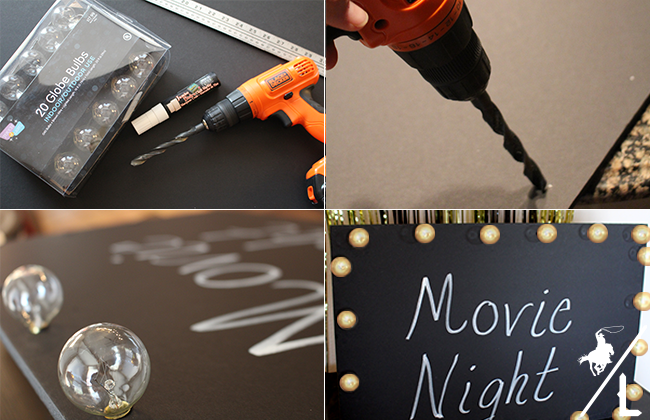 Using the chalkboard marker, write Move Night. 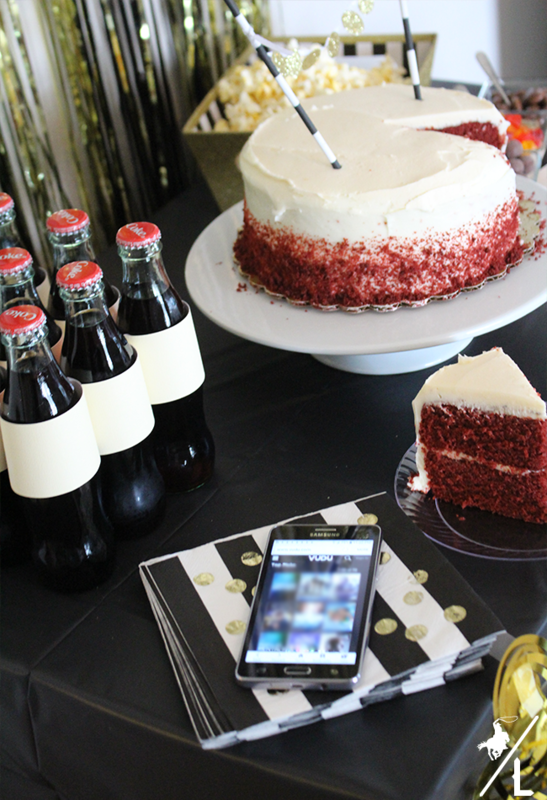 This movie party was a blast to put together. 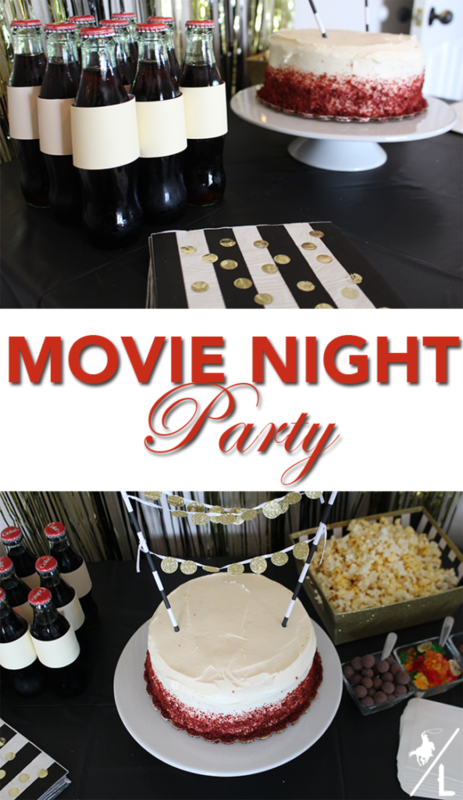 I’m thinking this needs to be how we have movie night each month – so much fun! How will you be spending you tax refund? Do you enjoy have movie nights at home? What is your favorite movie?